You might be bursting at the seams to explain, describe, and demystify the layers of blockchain. And in the beginning, your audiences will probably greet this with a mixture of feigned curiosity, FOMO, surveillance unease, and disdain for yet another over-hyped techno-fad. But — before you know it — you’re twenty minutes deep into a tirade about the illusory root value of fiat currency, the inefficiencies of government bureaucracy, and the promises of a crypto-utopian future… that seems so close you can almost touch it. Meanwhile, your previously just-being-polite audience is looking for the exit. Whether you’ve been a fellow-chainsplainer or a victimized chainsplainee, it’s not a great place to be. It’s tempting to try and share everything you’ve ever learned about blockchain in the time that it takes the ice in your drink to melt… but for the crypto-curious or the crypto-skeptical, chainsplaining is ineffective and awkward. Chainsplain : to mansplain cryptocurrency and/or blockchain technology. However, blockchain does come up in social settings these days. And it deserves a thoughtful dialogue since it’s so new and often counterintuitive. How might we describe blockchain without someone excusing themselves to refresh their beverage…again? While I can’t claim to have mastered the art of explaining blockchain, along my own adventures down the rabbit hole I’ve stumbled across a few non-technical ways to help describe things so that people actually have a fighting chance of lighting the lightbulb. This is a big topic, but here are a few top-level lessons-learned to help keep things on the rails. So take a read and keep me honest. Chainsplainers can be unbearable because they launch straight into blockchain technology — name-dropping new terms and complicated concepts — to an audience who often doesn’t have the slightest idea what they’re talking about. And an audience that feels overwhelmed and disoriented will soon want to get the heck outta dodge. That’s why before I get into here’s how this grand machine works , I try my best to lead with why any of this might be interesting to you. People learn through stories. Our brains naturally seek out a narrative structure with a beginning, a middle, and an end. Stories are how we receive new information. Stories provide the metaphorical maps that enable us to navigate new experiences. And stories are also how we recall information to share with others moving forward. When I start to introduce the complex concept of blockchain, I do my best to do so in a familiar narrative with relatable concepts to make my audience feel a little more comfortable. For better or worse, analogies involving money tend to work well, as most people naturally associate cryptocurrencies with blockchain. At this point in my conversation, people’s heads are nodding slowly as they begin to wonder why I’m bothering to be precise over something so familiar. Which is the perfect opportunity to surprise them. My crypto wallet will never ‘contain’ $20.00 worth of cryptocurrency in the same way that my physical wallet contains this $20.00 bill. At this point, folks tend to lean in, squint their eyes, and maybe tilt their heads. “Wait… what?” This is not where they expected the conversation to start. And, significantly, they have just asked their first exploratory question. Pro-tip: *the presence (or absence) of curious questions is the easiest and most immediate method to gut-check if you might be mansplaining, chainsplaining, or any other splaining. “In the crypto world, the ‘money’ is fixed in time and space. Sort of like bricks in a wall. Imagine that each brick is worth $20.00. 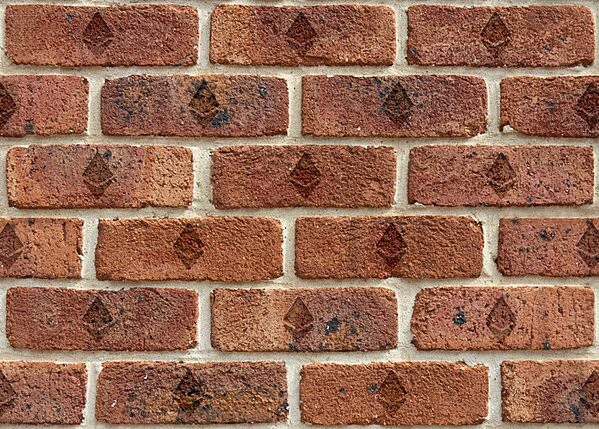 I can prove that I control a specific brick. And I can transfer control of that brick to you. Now it is your brick. However, that brick was never in my wallet. And it will never be in your wallet. It’s just a brick on a wall that you can prove that you control. When you transfer control over it, it switches to the next person almost instantly. Learning about blockchain is hard because everyone has expectations about how things work. The word ‘wallet,’ for example, has an existing meaning. Most people think of it as a container that holds cash and cards. In blockchain, the word ‘wallet’ means something else entirely — and new learners are confronted with countless counterintuitive terms like this. But before explaining a new concept, it’s much easier if we first acknowledge and begin to break down preconceived notions and baseline assumptions. That’s one of the hardest parts of the blockchain journey: in order to make heads or tails of this new world, people must first unlearn a whole bunch of deeply held notions. Notions that are so second-nature as to barely be recognized as assumptions at all. And that’s really, really tough. In order to learn make heads or tails of this new world, people must first unlearn a whole bunch of deeply held notions. But this is where the ocean meets the shore. And where the descent down the blockchain rabbit hole needs to begin if new users are going to be interested enough to explore further, and persistent enough to work through the inevitable moments of frustration and confusion that come with this territory. Interested in upcoming chapters in this narrative? At this point in their journey, my audience is usually both curious and confused… and starting to be compelled to stick around to learn more. In future posts, I hope to share additional narrative techniques that I’ve found help continue the blockchain conversation in language and metaphors that bring the key concepts alive and help people light the lightbulb. In the meantime, give it a shot and let me know how it goes. I’d also love to learn about the stories that you find effective when talking blockchain. You can find me on Twitter via @mcutler. Big thanks to Sarah Mills , Taylor Monahan , Seth Goldstein , and the Blocknative team for providing feedback on earlier drafts of this post! This was a great read! thanks for all ur hard work!